Nicknamed as “Plum” Wodehouse, this legendary comic novelist is most famous for his fictional characters of Bertie Wooster and his unflappable valet Jeeves. 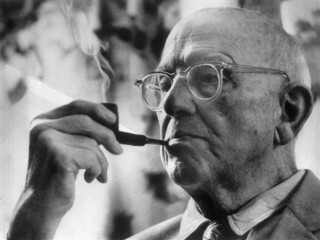 Apart from the various eminent works of fiction, Wodehouse had been successful in earning recognition as a lyricist by largely contributing to various musicals in collaboration with Jerome Kern. With as many as 200 novels, 15 plays, 250 lyrics, 30 musical comedies and numerous short stories under his kitty, Wodehouse enjoyed the much-desired success in his 73 years’ of career. Rightly commented by journalist and writer Christopher Hitchens, “there is not, and never will be anything to touch him”, one cannot find replicas of his work at least in the near future years to come. Check out PG Wodehouse’s life and profile with this article and how he has influenced others with his works. Third of the four sons, Pelham Grenville (PG for short) Wodehouse was born prematurely to Eleanor Wodehouse and Henry Ernest Wodehouse in Guilford, Surrey, England. His father was a British judge in Hong Kong. Wodehouse had been fortunate enough to be born in a family of high-flying ancestors. After living with his parents for around three years, Wodehouse was brought to England where he attended several boarding schools between the ages of 3 and 15 years. Hence, in a single year, Wodehouse saw his parents only for a period of six months in total. In 1894, he enrolled himself to Dulwich College where his elder brother Armine was already a student. Wodehouse graduated in the year 1900. Like Armine, who won classics scholarship to Oxford University, it was expected of Wodehouse to follow his brother’s footsteps. However, destiny had other plans for him. Depreciation in the value of Indian rupee forced Wodehouse to abandon any hopes of following his brother, as his father’s pension was naturally decreased. As such, to overcome the financial crisis, his father got him recruited with the Hong Kong and Shanghai Bank (now HSBC). However, Wodehouse had little interest in banking. Instead, he was keen on starting a career as a writer, his life long love. Hence, while working with the bank, he started off with writing as a part-time career. Wodehouse’s hard work tasted success when he became a journalist with ‘The Global’ in 1902, being employed as a comic writer. However, his major break came with the publishing of his first novel ‘The Pohunters’ in the same year. These were followed by ‘A Perfect’s Uncle’ (1903), ‘Love Among the Chickens’ (1906), ‘Psmith in the City’ (1910) and so on. He contributed numerous items to ‘Pinch’, ‘Vanity Fair’, ‘Daily Express’ and ‘The World: A Journal for Men and Women’. ‘Something New’ published in ‘the Saturday Evening Post’ in 1915 became his first breakthrough although. In the 1930s, Wodehouse began his career as a screenwriter with Metro-Goldwyn-Metro where he claimed to be highly overpaid. He even wrote the screenplay of the musical film ‘A Damsel in Distress’ that released in 1937. Wodehouse gained popularity for his detailed construction and development, even though his works were formulaic plots. This was evident from his early novels, like ‘Psmith In The City’ and ‘Psmith, Journalist’ that had similar devices. By 1920s, his writing became mature, as his novels reflected multiple layers of comedic complications which were beautifully interspersed with bizarre situations to reach a happy and satisfying finale. ‘The Code of the Woosters’ can be judged as the finest example of such a bizarre situation. Most of his short stories and novels had similar characters and locations, thereby classifying his work as “series”. ‘The Blandings Castle’, ‘The Drones Club’, ‘The Golf and Oldest Member’, and ‘The Jeeves and Wooster’ stories are some such examples. After attaining US citizenship in 1955, Wodehouse continued to pen his thoughts through stories and novels, such as ‘Meet Mr. Milliner’ (1927), ‘Doctor Sally’ (1932), ‘Quick Service’ (1940), ‘The Old Reliable’ (1951) and others. While writing in New York, Wodehouse married Ethel Newton, a 29-year old American widow with a daughter, Leonora. The couple did not have any biological children; hence, he soon legally adopted Leonora. The probable reason for Wodehouse getting infertile was the contraction of mumps during adolescence. At the outbreak of World War II in 1940, both Wodehouse and Ethel were imprisoned by the Germans in Le Touquet and sent to an internment camp in Upper Silesia. However, since he was over 60, he was released within a year on the condition of staying back in Germany and broadcasting in German Radio. His experiences broadcasted on the radio from Berlin to America caused much furore at the British Broadcasting Corporation, resulting in the removal of his books from many shelves. However, Wodehouse regretted his decision and returned to US along with wife Ethel, where he resumed with writing short stories and novels. He became a US citizen in 1955 and settled in Remsenburg, Long Island, New York. He was conferred upon the title of a Knight Commander of the Order of the British Empire (KBE) in 1975, six weeks before his death. Wodehouse died on 14th February, 1975 in a hospital at Southampton, at the age of 93, and was buried in the Remsenburg Cemetery in New York State, USA. His wife Ethel passed away in 1984 and was buried next to him. * Wodehouse has a waxwork of his at Madame Tussaud’s Wax Museum to his credit.